Children live in an extremely fast moving world and when a child is diagnosed with dyslexia or they have trouble reading or writing, as a parent we know you want to do everything within your power to help. They have been designed by a child for children. We believe this is why children are more than happy to wear them. Mrs Newsham from Darwen, who's child took part in our trials wrote " My son has been wearing the glasses to take part in the trials. He finds that the blue ones help with his reading and the yellow ones for number work. My son has been diagnosed with severe dyslexia , however when wearing the glasses, he appears more confident in his work. The teachers have asked for them to be taken in to school every day. He enjoys wearing them and they appear to be a fashion icon!!! Parents at his school have been asking about the glasses and are keen to learn more as my son is responding well to them.The have the added benefit of doubling up as sunglasses so he now takes them on holiday too. 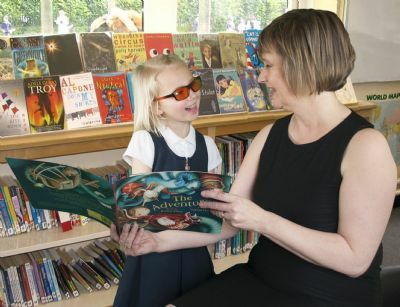 Dr Ian Corban ( educational and child psychologist ) has written some information in the heading above (Schools) regarding his thoughts on tinted glasses and the benefits of using them. Please take the time to read this as we feel the information in it would be useful to you. The glasses can also be used for colour therapy. We have found that yellow tints help children who suffer from headaches and blue and yellow tints can have a calming effect. Please like our facebook page to see our excellent reviews from our happy customers. If your child is currently using a tinted overlay and shows signs of benefiting from them, then the glasses should have a similar effect. Your child can wear them in school and at home. The colour of tinted glasses can differ from the colour of overlay. We recognise this and therefore we will let customers exchange the glasses as many times as required. If you have tried all of our range and none of out tints help then we will refund you in full.